This year marks the centenary of Canadian women (though not all) receiving the right to vote in federal elections – but this is not the 100 years referenced in One Hundred Years of Struggle. 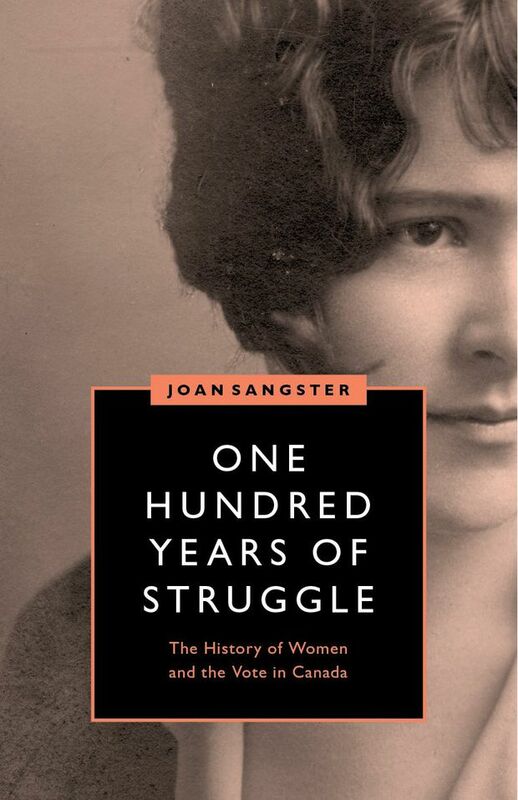 Instead, Joan Sangster’s thorough, critical history looks at women’s suffrage in Canada from the 1850s – when black newspaper editor Mary Ann Shadd Cary published editorials advocating women’s rights – to Canada granting enfranchisement to status Indians in 1960. There are two challenges to writing this story. During this period, Canadian suffrage movements were highly regionalized. Then as now, Canadian feminists came to the cause from differing backgrounds of race, class, religion and political ideology. It made for strange allies. Sangster tells these divergent stories without losing the larger plot, with particular attention to class and race dimensions. This is the first book in a series from UBC Press on women’s suffrage and the vote in Canada. Later books will each take on a particular focus – on Indigenous women’s rights, for example.